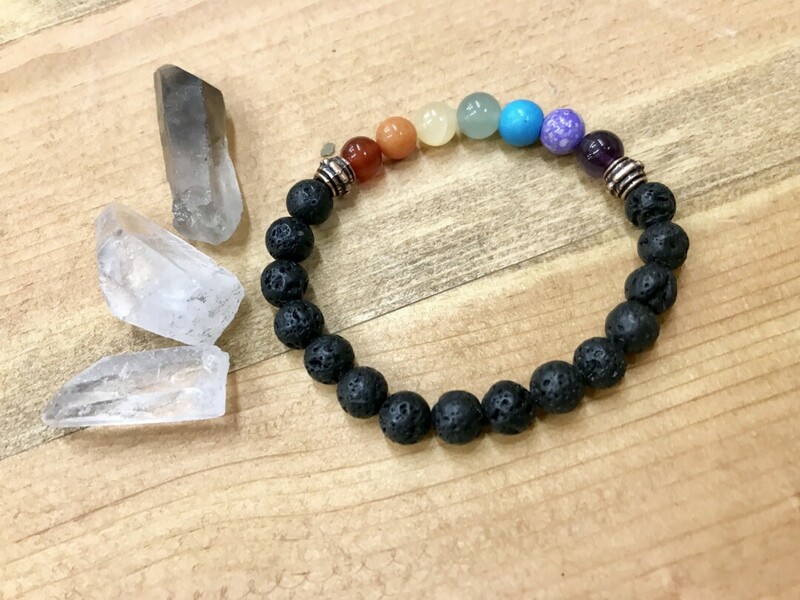 Make your own chakra stretch bracelet. Genuine stone beads will be provided in 7 chakra colors. Choose your filler beads from a variety of stone choices. Lava beads, white Howlite, Mountain Jade and more. Learn to construct your bracelet and you'll learn a new jewelry making skill.